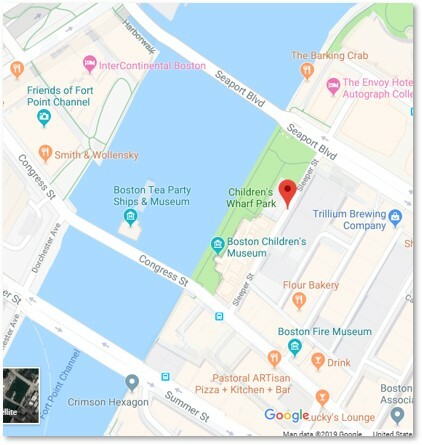 When the Boston Wharf Company laid out the streets in what is now the Fort Point Channel District, they named them after the company’s officers and prominent tenants in their buildings. The company names, like Necco Court, are easy to identify while the men themselves take more research. As usual in tracking down the biographies of prominent Bostonians, I find myself wandering in genealogies and graveyards, old books and obituaries. At times I wonder if I am researching the right man. Sometimes I can make unexpected connections. At other times, the information surprises me. The BWCo did not name Sleeper Street for a mattress company. Instead, Sleeper Street honors a Boston merchant and a philanthropist. 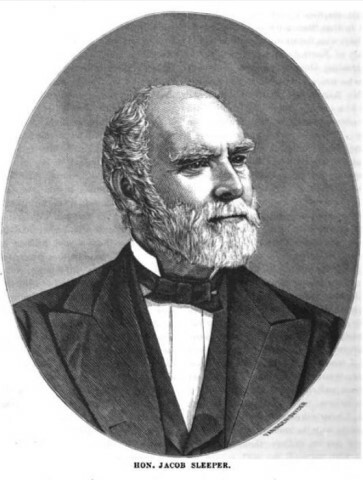 Jacob Sleeper served as president of the Boston Wharf Company, although I have not been able to pin down the precise years of his term. While reading Jacob. Sleeper’s biographical information, I also found an unexpected connection to Boston University, along with a couple of notable descendants. Born on November 21, 1802, in Newcastle, Maine, Jacob Sleeper was orphaned at 14. Having lost all his property at 21 years old, he came to Boston in 1825, intending to become a minister. Instead, he pursued a mercantile career and built a fortune in real estate and wholesale commerce. Along with Irish immigrant Andrew Carney, he formed the firm of Carney & Sleeper, Clothiers. 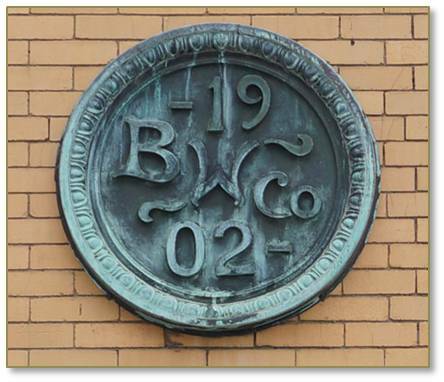 They manufactured military uniforms with offices on North Street in Boston’s North End. He retired from business in 1850 and devoted himself to civic service and philanthropy. The list of Mr. Sleeper’s civic positions and responsibilities would take paragraphs to list, it is so long and distinguished. In just a sample, he served as a member in the Massachusetts House of Representatives (1851-1852) and the Massachusetts Governor’s Council (1859-1861). The legislature elected him twice to be an overseer of Harvard University. Mr. Sleeper worshiped at the Bromfield Street Methodist Church. He served as their Sunday School’s superintendent for 59 years and as the church’s treasurer on the Board of Trustees for 46 years. Mr. Sleeper’s generosity also connects him in with two of Boston’s important institutions of higher education. Three successful Boston merchants and Methodists interested in education obtained the Charter for Boston University from the Massachusetts Legislature. The three men, Isaac Rich (1801-1872), Lee Claflin (1791-1871), and Jacob Sleeper (1802-1889), founded Boston University in 1869. 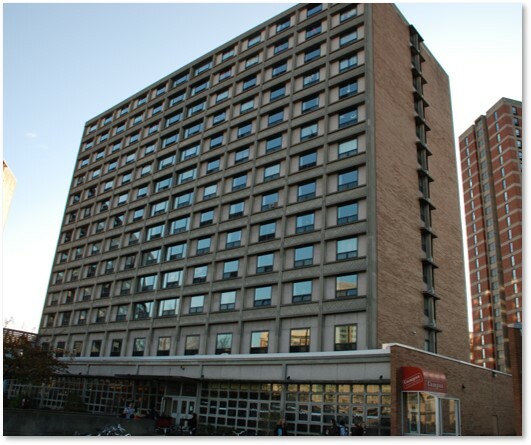 In addition, Mr. Sleeper gave or bequeathed more than a quarter of a million dollars to BU, worth $4,764,053 today. Boston University has both a Jacob Sleeper Auditorium and a dormitory named Sleeper Hall. Jacob Sleeper also donated a Sleeper Hall to the New England Conservatory of Music. Mr. Sleeper married Eliza Davis )1796-1833) in 1827 and two years after her death wed her younger sister, Maria Davis (1802-1889). One of his children, Brevet Major Henry Jacob Sleeper served in the United States Army as Commander of the Massachusetts 10th Light Artillery Battery. He lived at 295 Marlborough Street. Jacob Sleeper’s youngest grandson, Henry Davis Sleeper, became a famous antiquarian and interior decorator. He built Beauport, the Sleeper-McCann house, on Gloucester’s Eastern Point, which is now part of the Essex National Heritage Area. Beauport contains Henry Davis Sleeper’s lifetime collection of folk art, curiosities, colored glass, china and silhouettes. Mr. Sleeper decorated each of the 40 rooms, which are “distinguished by a historical or literary figure, theme, color, shape, or object.” No two rooms are the same. The Sleeper-McCann House is open to the public from mid-May to late October. Sleeper Street in the Fort Point Channel District connects Congress Street and Seaport Boulevard. 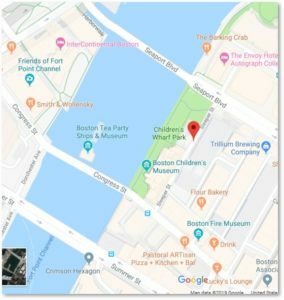 It runs parallel to the water behind the Boston Children’s Museum and the Children’s Wharf Park.